This is where you can find a list of the best sites for online gaming. User recomended sites are sites which have been recomended to me by people who use the recomended site. The is the largest resource of online games to waste vital study time and we all do it. The games are free to play, you just need a browser and time to waste, I'm emphasizing the time here because you really are going to loose a lot of it but then why else would you be looking for online games, you can even download some of the games. Incase the free games aren't enough Miniclip also offer games and merchandise to buy. If you really don't want to be the last to hear about the new game you can sign up to be contacted about the release of all the new games to miniclip. For all the webmasters out there who don't know how to liven up their website why not add some of the embedable games to your site. User Recommended. Do you love play online games ? Have fun with us ! 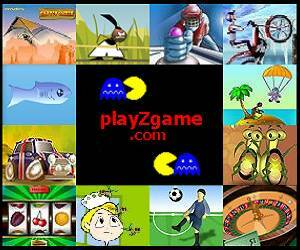 Hand-picked, quality, fast-loading, fun, free flash games. This site was sent to me by a user, the section they sent me was this parking games section and my god is it fun. These little games are great ways to waste time, speeding around a car park avoiding trolleys and parking cars it's great fun, I highly recommend it. User Recommended. Free Arcade offers more fun flash games games playable from your browser, a particularly good one is Crazy Mustang, simply drive your monster truck to the finish line what could be hard about that. If it's retro games you want this is the site for you. You can find old classics such as Mario and Sonic here. PoliGames provides slightly more advanced flash games, you can get 3D games with pretty good graphics. You may have to enter your e-mail address for some. User recomended. Some good flash games, one which is particularly good is Flash Empire 3 where you must defend your castle for invaders. More great flash games, a very good one is Tower Defence, can you defend your castle against the invading horde. In a computer lab at uni and you cant play flash games? no problem try this collection of java games instead your bound to find something you like. Y8 provides great flash games with good graphics, a recommended games would be 13 Day's in Hell a tricky shooting game where you must be deadly accurate unless you want your head lobbed off. User Recommended. Lots more games and puzzles including daily sudoku and mobile game downloads. This offer's a wide range of games playable from your browser. Most of the games that you find in the arcade section of Supreme Games have come from Free Online Games but they are only the start of a huge collection. The fun games allows you to use your creative ability's to come up with a machine for every task which you are presented with. More fun flash games, a good one being chain of fire, how good are you at setting people on fire? Many more fun flash games, bloxorz being one of the best puzzle games is available here. Requires you to become a member to play the games. User Recommended. Instant action allows you to take part in multiplayer with users around the world, registration is required as is the download and installation of a plugin for your browser. User Recommended. More fun flash games to loose some time with, one you might like to check out is Sky Fighter.